It's been two years since disgraced Illinois governor Ray Perry disappeared from a federal courthouse in Chicago, moments after being sentenced to thirty-eight years in prison on corruption charges. 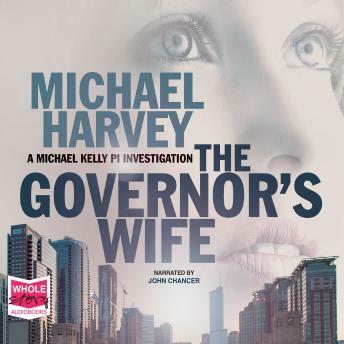 PI Michael Kelly's investigation begins with his wife, Marie. As he hunts for her husband, Kelly begins to unwind Marie Perry's past. What he finds is a woman who is even more intriguing than her husband, with her own deeply complicated reasons for standing by him.